The 735B-KIT includes the following items: No. 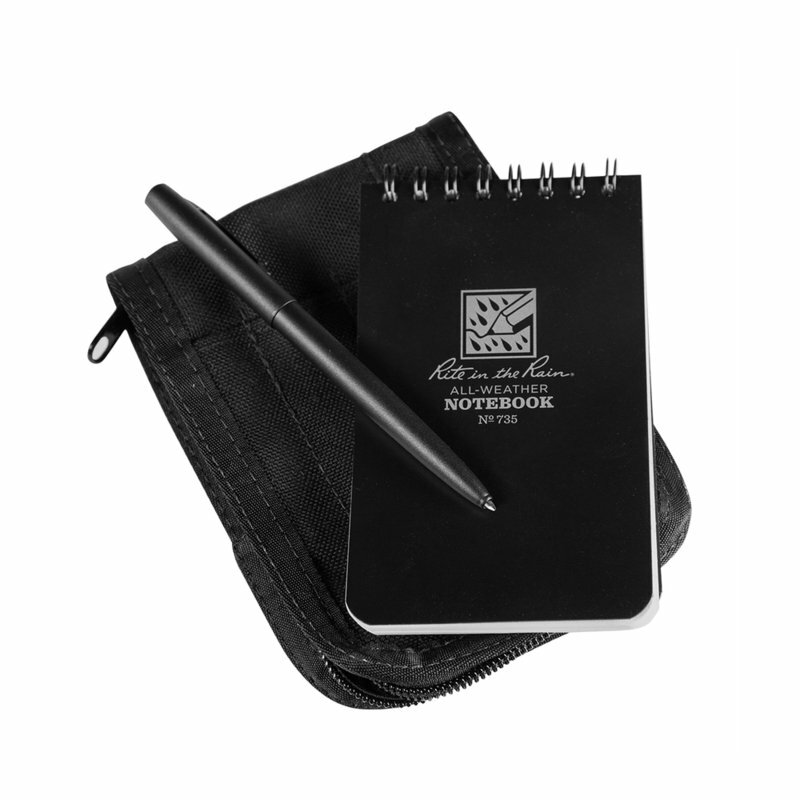 735 Pocket Notebook (3" x 5") - Black, No. 97 All-weather Black Clicker Pen - Black Ink, No. C935B fabric cover - Black. These Covers fit all 3" x 5" top spiral notebooks. They have a rugged zipper closure and hold up to 4 writing utensils!